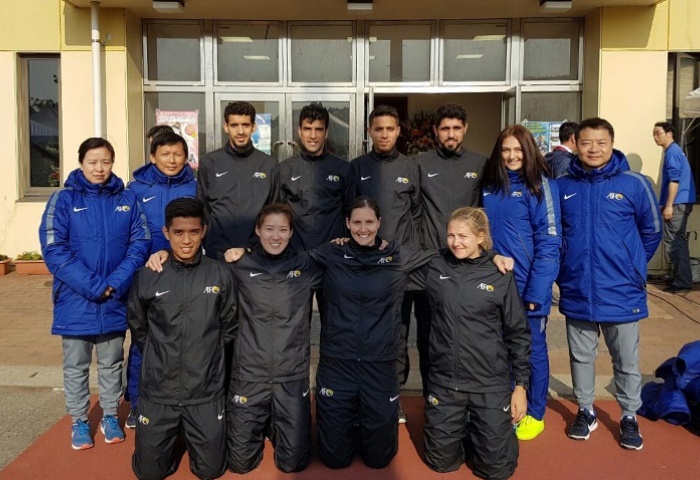 FC Project Future Referees Course Batch 2015 completed their course in conjunction with the ongoing Sanix Cup International Youth Soccer Tournament 2017. The referees officiated U-17 international matches, which were filmed for post-match debriefing purposes. AFC technical instructors Niu Huijun (China PR) and Charles Cheung Yim Yau (Hong Kong) analysed and gave daily feedback to the referees on their performances. During the course the eight participants, who were selected based on the previous two development courses conducted in Kuala Lumpur in 2016, had previously taken charge of local games at the Football Association of Maldives’ Dhivehi Premier League, FA Cup and U-21 Youth Championship. Proof that the course is getting results can be seen with the nomination of two former Project Future Referees nominated for FIFA World Cup finals. Casey Reibelt (Australia) has been shortlisted for the Women’s World Cup France 2019, while Abdulrahman Al Jassim (Qatar) has been shortlisted for Russia 2018. The AFC launched this referees programme in 2007 with AFC instructors identify promising referees at the AFC U-14 Regional Festivals of Football and the AFC U-14 Girls Regional Championship. to be recruited into the two-year programme. The current eight participants were selected based on the previous two development courses conducted in Kuala Lumpur in 2016. The AFC has taken a number of steps to boosts the level of its match officiating. Earlier this month it held its first Additional Assistant Referees (AAR) course in Doha, Qatar. This course is aimed at strengthening the decision-making process, particularly in the penalty and goal-line area with the introduction of video playback. The course was the first time AFC referees have had the opportunity to examine the protocols of the new Video Assistant Referee (VAR) system which will be piloted in the knockout stages of the AFC’s flagship club competitions this year.